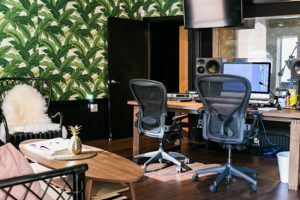 Insane and strange offices around the world are no secret, but are you aware of the loads of weird and wonderful places to work in right in our own backyard? 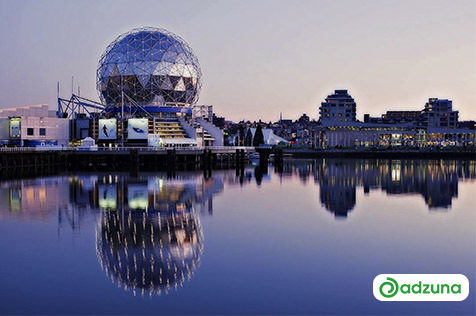 Loads of countries across Canada are embracing the oh so bizarre designed workplaces that will make you feel not only jealous of how it looks, but will also want to make you work there! 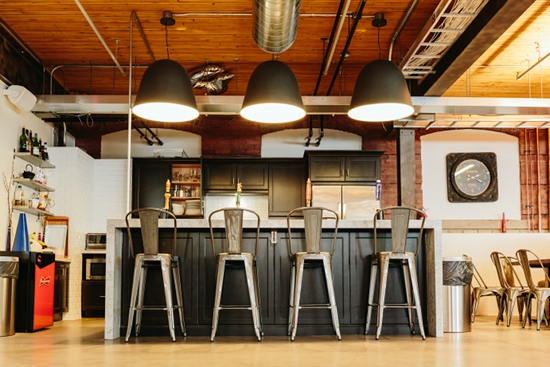 Here is Team Adzuna‘s short list of the coolest offices in Canada. 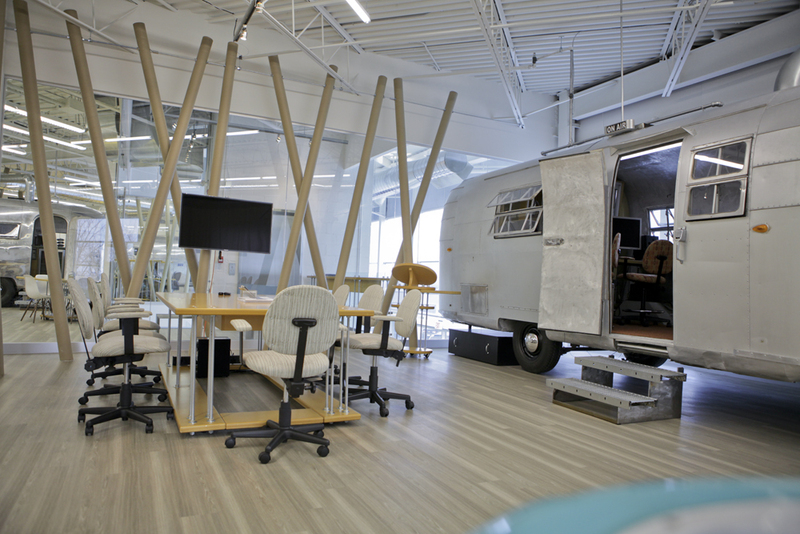 Metric System’s office in Toronto, home to the advertising and digital company, is decked out with three vintage airstream trailers. Besides providing a unique work environment, the full-sized, restored trailers each serve as the president’s office, a recording studio, and a café. 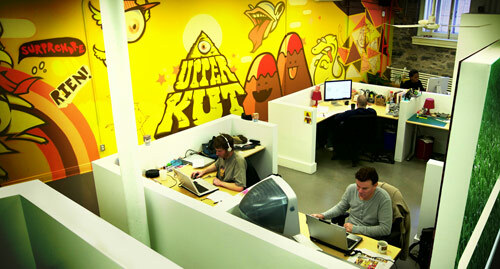 Upperkut’s quirky motto is Amaze. Convince. Mobilize. 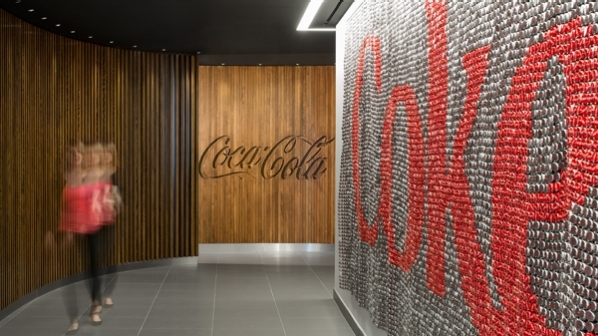 Their office has certainly amazed and convinced us that it is a wonderful place to work. 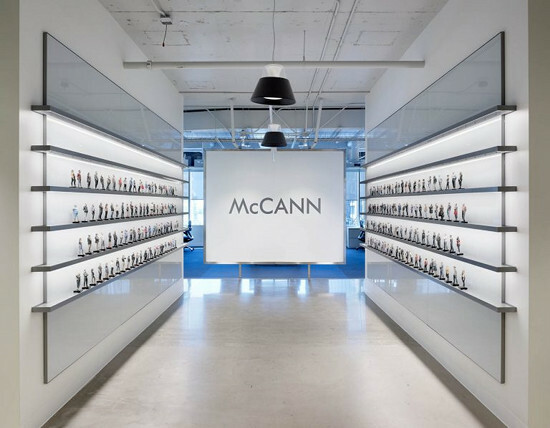 Their zany Montreal office is situated at the bottom of a fully operational church. The relatively small space has been transformed by painting Upperkut’s own brightly coloured graphics across the walls: this to brighten the once original dark wood interior. Cool eh? Coca-Cola Canada having moved its suburban offices in the heart of downtown somewhat years ago, still has its forever charm. 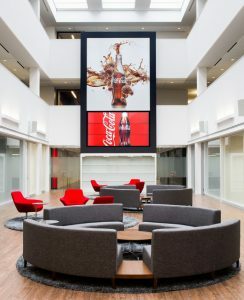 This 100,000 square foot office is split up into four strategic zones; “Celebrate (social spaces), Engage (conferencing areas), Delight (experiential ‘brand’ spaces) and Centred (focused workspaces).” The main features of the office are brand themed corridors and the 3-story atrium that is the home to a comfy chilling-out area. Of course this list wouldn’t be complete with the incredibly amazing offices Google featuring somewhere, right? 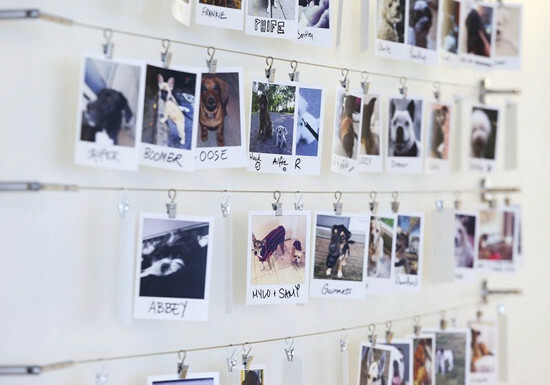 This Google workspace was created by the employees themselves for inspiration. 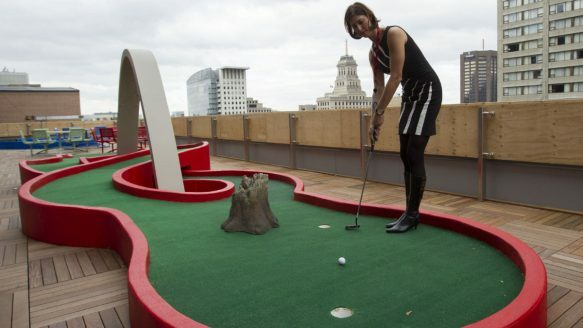 Some awesome features include rooftop mini golf (as you can see below), a bike that powers a blender for smoothies, music rooms and games rooms, even including a pacman styled arcade room. Shall I need to convince you more of how great this sounds? New York creative agency, Anomaly, opened its doors in 2012 in Toronto. 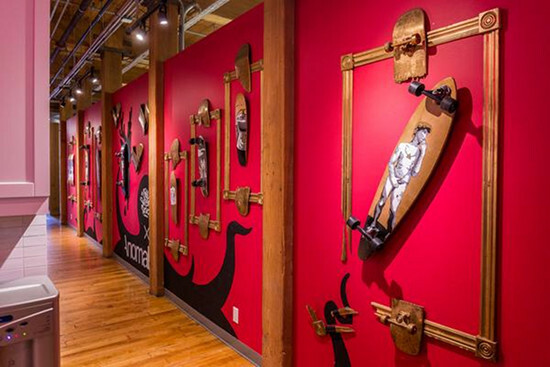 To attract some of Canada’s top talent, the Anomaly office was designed to be both inspiring and fun. 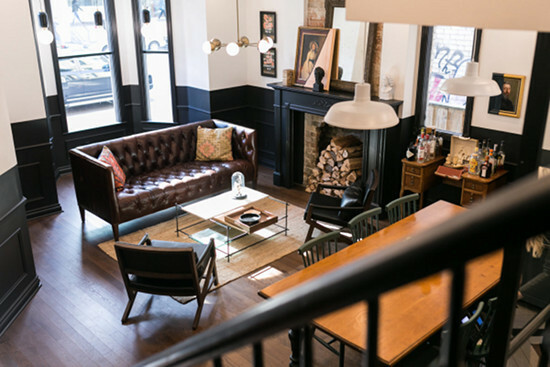 It’s an impressive place where people actually want to hang out. 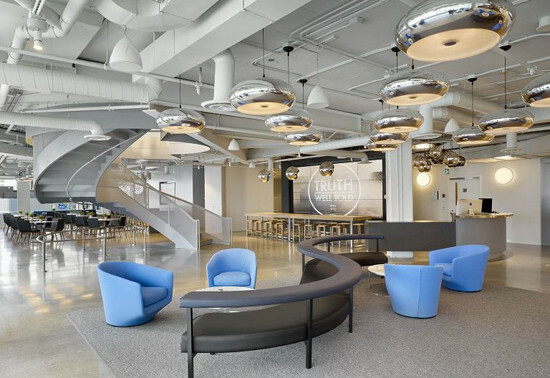 The office design is very versatile with highly creative and cool spots, to calm and quiet spots to relax. Do you fancy having ping pong tables, free beer tap on Fridays, a yoga room and even a gym as part of your working week? Take a closer look at these offices! Head over to Adzuna and check out all of our current vacancies across the country. Tagged under: fun places to work,	google offices,	toronto coolest offices. How Much More Do World Leaders Earn Than Their Citizens?